Rule 5 managing partner Rob Brown has been awarded the Stephen Tallents Medal by the Chartered Institute of Public Relations (CIPR). The award is named after Sir Stephen Tallents, one of the founders of public relations in Britain and the first president of the Institute of Public Relations in 1948. It's awarded at the discretion of the president "to recognise exceptional achievement in, and contributions to, the development of public relations practice by a CIPR member". Rule 5, the agency Brown set up with Julie Wilson in November, has recently relocated to The Landing at MediaCityUK. Brown said: “We couldn’t have had a better start for the business. It’s been overwhelming to get recognition for what we’re doing so soon after launch. The agency has also recruited Lucy Murgatroyd as account executive, bringing staff numbers to five. 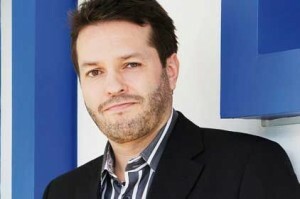 Murgatroyd joins from MC2 and will report into senior account manager Carolanne Bamford.